This weekend my honey and I went to St. Louis. Neither of us had been there before. We had a great time!! That does mean that I didn't get my long run in though. But I'm not going to stress out about it, sometimes life happens, and being together this weekend was more important! Going up in the arch was awesome!! The views were amazing. Toasted Ravioli was created and popularized in St. Louis. Not real sure about this one! Very interesting though. I would love to run here! We saw hundreds of Color Runner's! how the Arch was built. Very impressive! I didn't get a very good picture of this, but the letters spelled out "Lauren will you marry me?" It was under the arch. SO creative!! I haven't traveled the world or anything, but I think St. Louis is definitely the most architecturally impressive city I've ever seen! I loved it! I will run a marathon here someday. 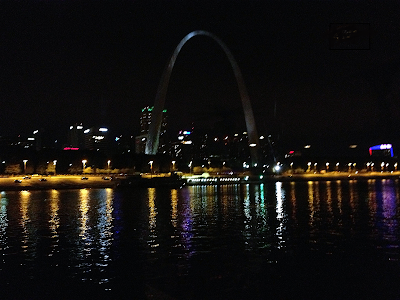 QOTD: Have you been to St. Louis? I have always wanted to visit there. I have drove through there, but never stopped and done all the touristy things!! Stop next time! It's beautiful! Never been to St Louis, I do hope to some days. This weekend we got to take a walk to the park, went to the library, and just hung out. Nice to get some rest! You definitely should. Sounds like you had a nice, relaxing weekend too! Thanks Teresa! It's a Rosetti, and I got it at Kohl's. It's similar to this one. http://www.kohls.com/product/prd-1598285/rosetti-cross-body-bag.jsp It's my favorite purse. You and John should go there sometime, you'd love it! Ahh, too bad. It's a very cool place! You look great girl! Love the sculptures! Great pictures! 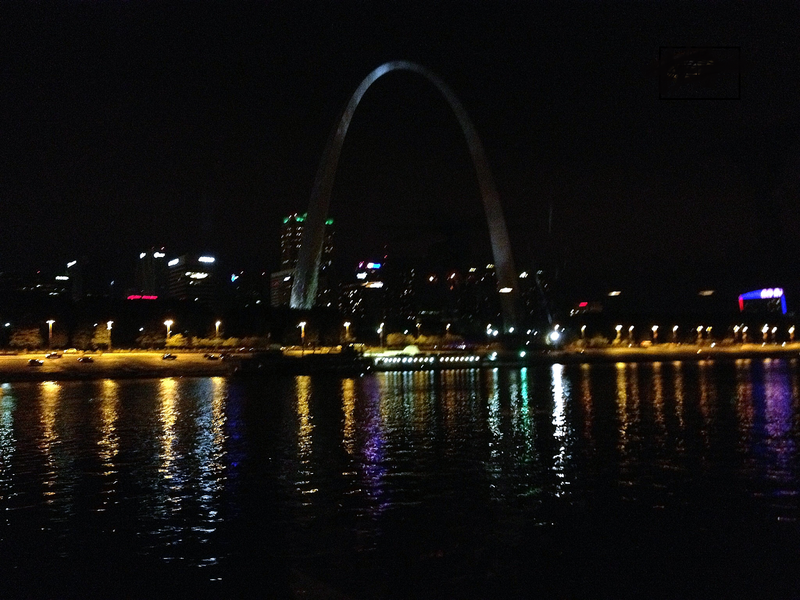 We visited St. Louis for a day a few years ago - only did the Arch and a boat ride. I was just telling my husband last night that I'd love to go back there to run a race! Love all the photos! I went to the arch a LONG time ago. Probably time to go back. I have been to St Louis once but never did any sight seeing unfortunately. The path around the arch looks AWESOME! I ran the Diva Half Marathon in VA Wine Country this weekend which I will NEVER do again!! St. Louis! It's like my second home since I lived there for the past four years at Wash U. It's a little rough around the edges, but if you get to know the city, it's pretty charming. Did you visit Forest Park? I used to run there all the time! I live 15 mins from St. Louis and love it!! There are so many cool and FREE things to do! Loved seeing these pictures!! Glad you had a great time! so fun! and you look great! A while back another blogger I read went there and posted pictures and I think she ran from her hotel to the arch and around it and back. I thought I need to add that to my list of places! WOW what a city!!! This is awesome, I would love to visit here. HOLY YUM to that ravioli..my gosh.